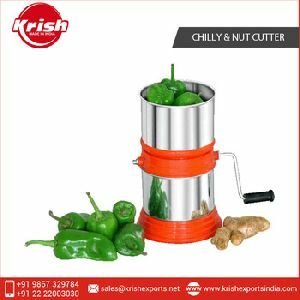 Round Chilly & Nut Cutter. 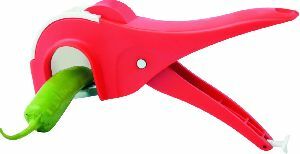 DESCRIPTION Very Sharpblades for instant cutting. 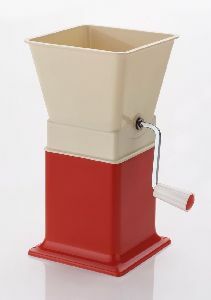 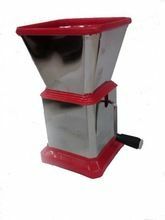 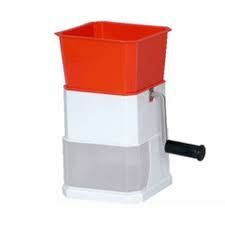 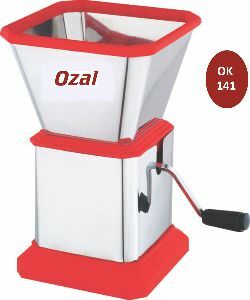 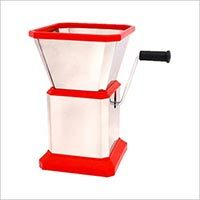 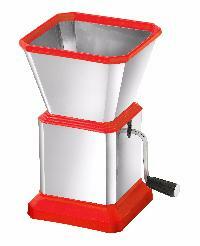 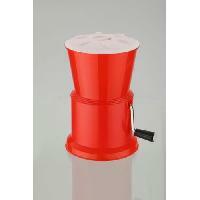 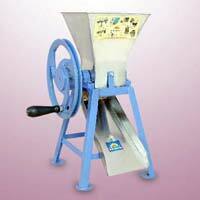 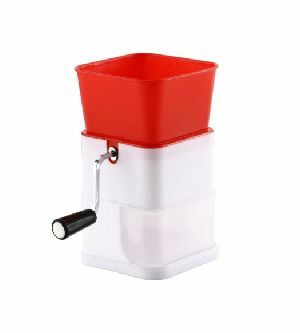 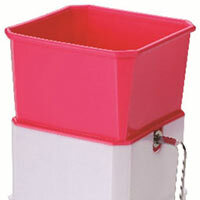 Comfortable handle for easy rotation Big size Hopper for quantity cutting. 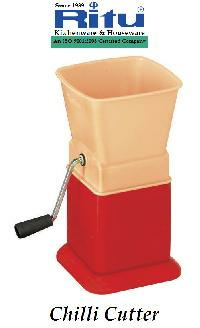 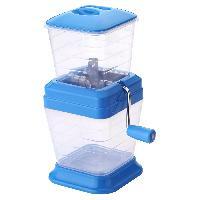 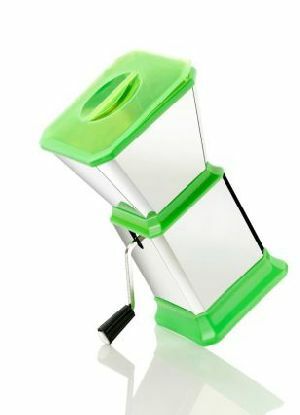 Detachable body for easy operations and convenient cleaning. 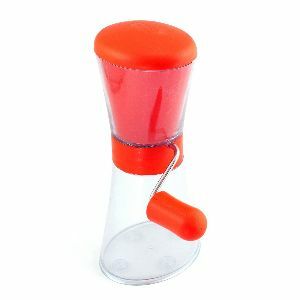 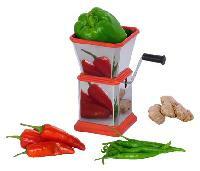 We are the manufacturer & wholesale supplier of Chilly cutter product. 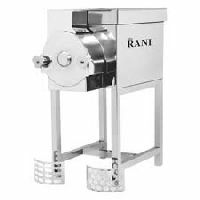 We are offering stainless steel chilly & nut cutter. 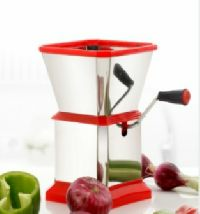 model : square with stainless steel cutting blade. 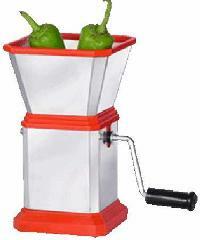 We are manufacturing and exporting this domestic chilly cutter . 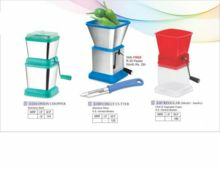 We are offering chilly cutter. 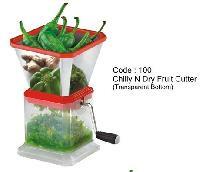 chillly cuting etc. 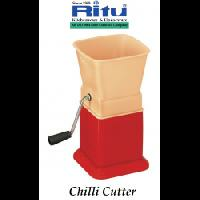 Chilly Cutters , which we provide, are manufactured in confirmation to the set industrial standards. 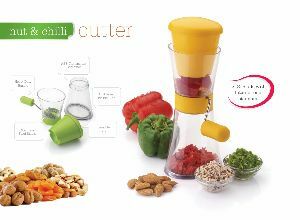 These Chilly Cutters are acclaimed for their compact design and long-life. 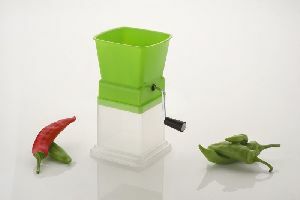 We offer these Chilly Cutters at the market leading rates to the clients. 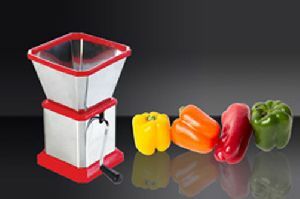 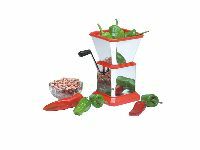 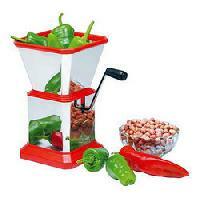 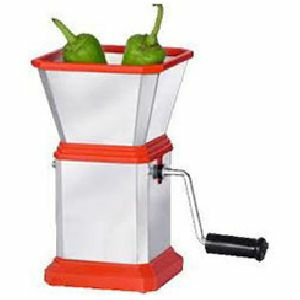 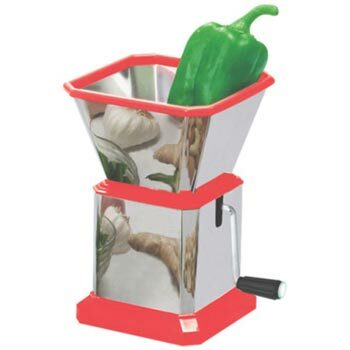 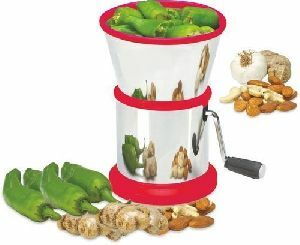 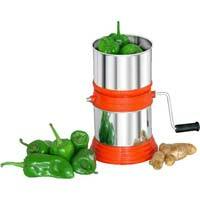 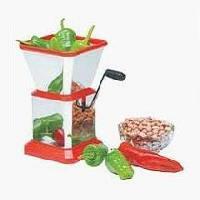 We are amidst the dependable Sources to obtain premium Chilly Cutters.